We continue to review brand's behavior in the video era. with a strategy that creates added value and emotional connection to the brand. Content: human. 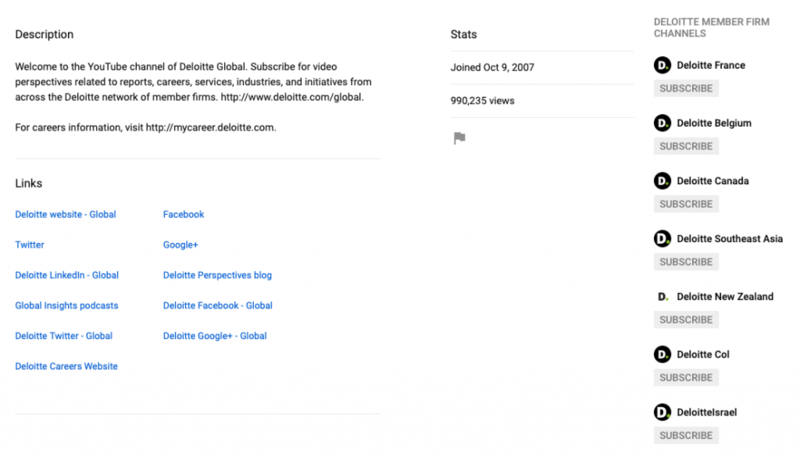 The preciseness of Deloitte in choosing content is the real win. 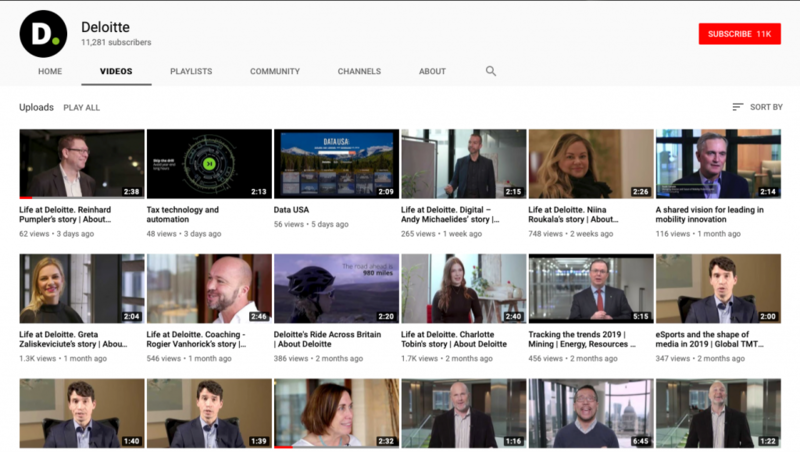 Their content presents mainly their employees, a service company that understands and makes a right use in medium and platform and empowers the business strength- the advisors, people who work in the company. Design: Lacking. The Page is not well designed, not much character. However, the content is well designed. All videos have introduction, closer and graphic package that maintains a classic, clean line. Number of followers, for now, 11K- but they make use as a great referral channel for other digital assets. It shows management, devotion and a digital vision. In sum: on one hand, not much creative or cool, but most effective and outstanding management. A company that understands the medium and plans ahead with innovative thinking.